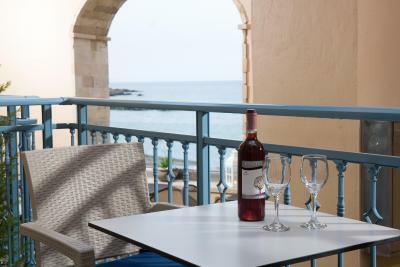 Lock in a great price for 'Captain's House' Traditional Hotel Suites – rated 9 by recent guests! 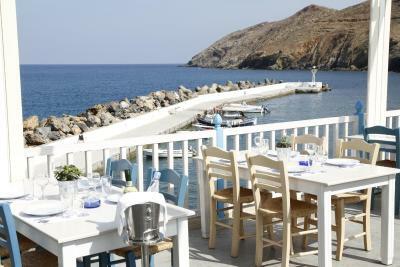 What's not to like in the amazing village of Panormos. Captain's House was like visiting a bunch of old friends who were glad to see you. Georgia, the house staff at Captain's House went above and beyond to make us feel welcome. She never stopped working and was sure our room was spotless every single day. We were in tight quarters (5 family members in one room) but it did not cause any issues because there was plenty of outside area to sit at Captain's House. This hotel is so tranquil and quiet! The woman that checked us in and cleaned our rooms was very kind and friendly, and the restaurant staff were wonderful! It was low season, so maybe that was part of the reason but they kept being us “extras on the house”. 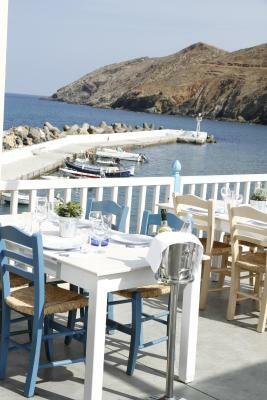 We are not going to leave Crete hungry! Wonderful stay. There is a hike to a lighthouse that’s doable right from the hotel. Probably 1/2 hour out. Past the little cemetery and through a fence down a dirt path. Super fun when the skies are cloudy. 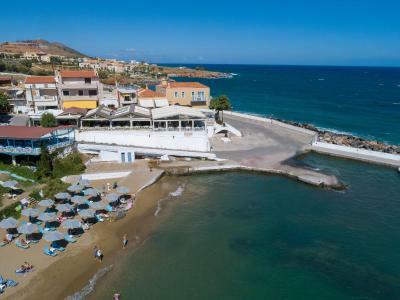 Location by the seafront, nicely renowated old house, the view from the room, the breakfast, personal service, nice restaurant right out of the door, charming little village. Very close to the beach and restaurants. Friendly staff. Parking. 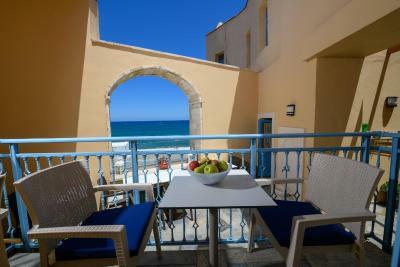 Friendly people, superb location , fabulous air conditioning , the sound of the sea , check out at 12 noon not too early. 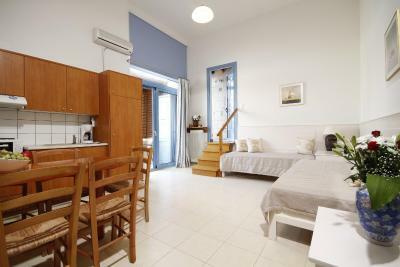 Good location, fully equipped, comfortable beds, strong air-conditioner. 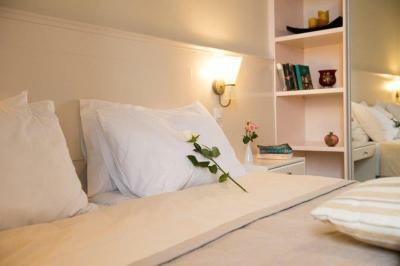 Very warm welcome, with excellent , friendly maid service. 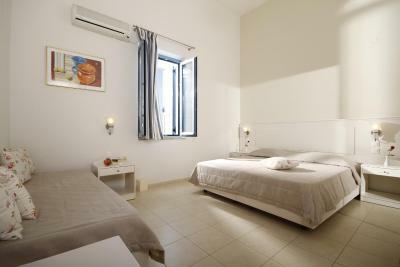 Sheets changed almost daily, with plenty of towels.Very well equipped property, with excellent air-con.Our room had a balcony and lovely view but the other rooms either did not have a balcony or one without a view. Great location. 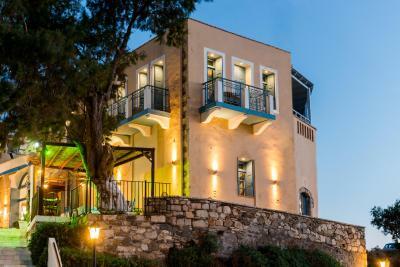 Characterful hotel, with an authentic Greek atmosphere. Super clean throughout And a delightful location. Room layout was clever and useful. Friendly and helpful staff. 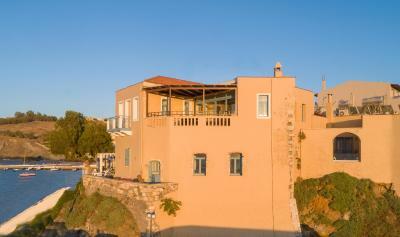 Captain's House is a unique beautiful traditional building, situated just above the sea with a magnificent view. 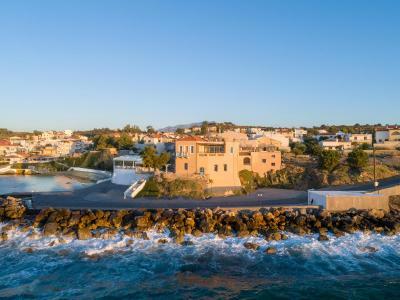 It faces over the port and the golden sandy beach of the small fishing village of Panormos. 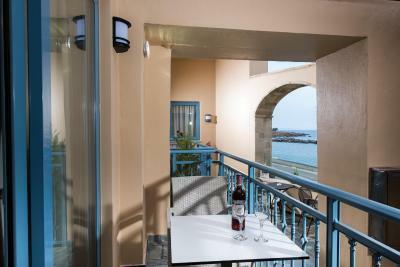 The hotel offers maisonettes, apartments and a very spacious suite, all with sea-view terrace or balcony. All guests are greeted with welcome basket including fruit, wine and mineral water. 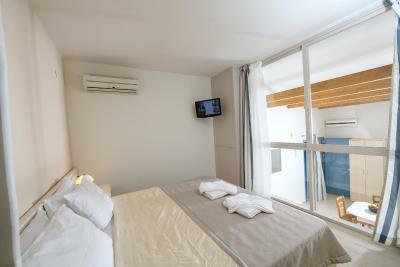 In-room facilities include satellite TV, safe and fully equipped kitchens. 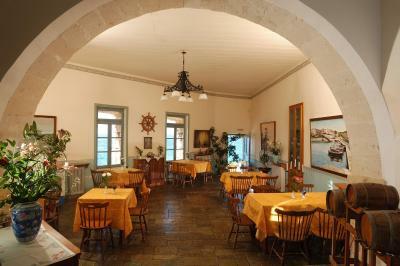 Captain's House has a lounge and a nice restaurant which offers traditional Greek food and fresh fish. 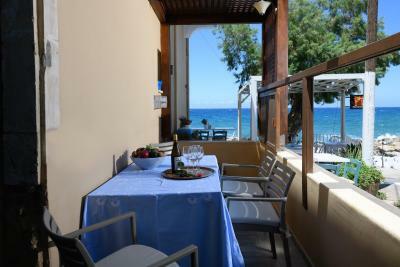 When would you like to stay at 'Captain's House' Traditional Hotel Suites? 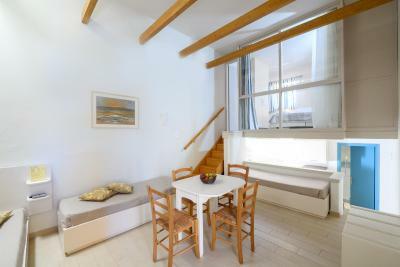 Spacious, 2-story apartment with master bedroom on upper level, kitchenette and bathroom. 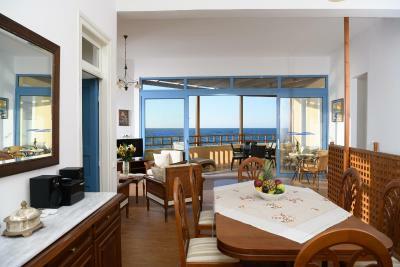 Sea-view terrace. 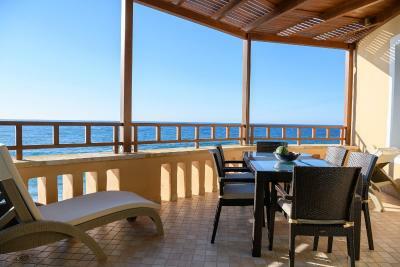 Guests are requested to inform the hotel of the exact number of guests before arrival. This can be noted in the Special Requests section of the reservation. 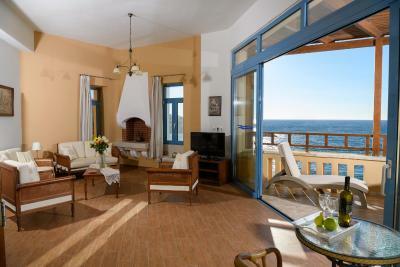 Romantic 3-bedroom luxury suite with living room, 2 bathrooms (one with a spa bathtub and another with shower), & a full kitchen. 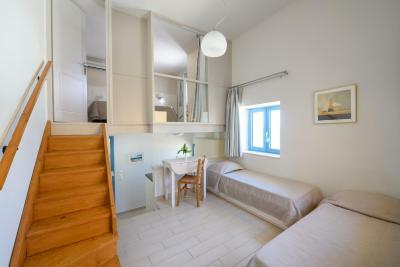 Each bedroom has a private balcony. 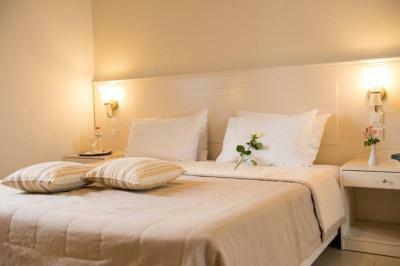 Guests are requested to inform the hotel of the exact number of guests before arrival. This can be noted in the Special Requests section of the booking. 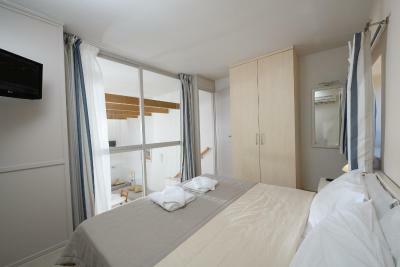 Spacious apartment with large bedroom, kitchenette & bathroom. 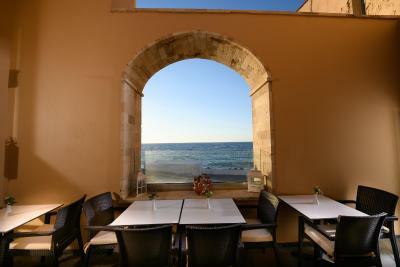 Terrace with sea-view. 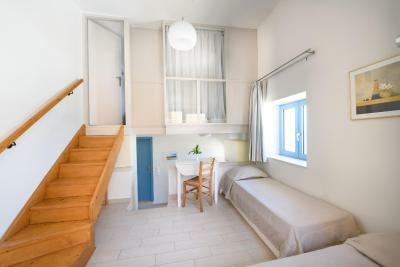 This apartment features a large bathroom with tub and has a private balcony. 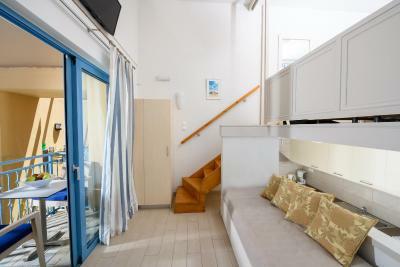 House Rules 'Captain's House' Traditional Hotel Suites takes special requests – add in the next step! &#39;Captain&#39;s House&#39; Traditional Hotel Suites accepts these cards and reserves the right to temporarily hold an amount prior to arrival. 'Captain's House' Traditional Hotel Suites accepts these cards and reserves the right to temporarily hold an amount prior to arrival. 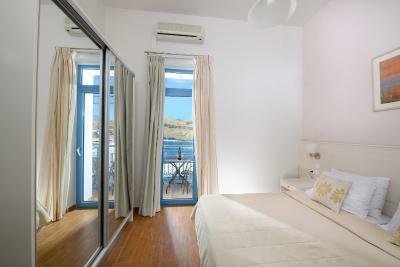 Please inform 'Captain's House' Traditional Hotel Suites of your expected arrival time in advance. You can use the Special Requests box when booking, or contact the property directly using the contact details in your confirmation. If you are looking for a private out side area/ terrace go for the junior suite or captains house - all the other balconies are not very private............. we we're in a maisonette with shared out door terrace ( which we were made away of prior to our stay ) , which we were more than fine with ,,,,, so this is not really a negative , just useful information for other travelers. 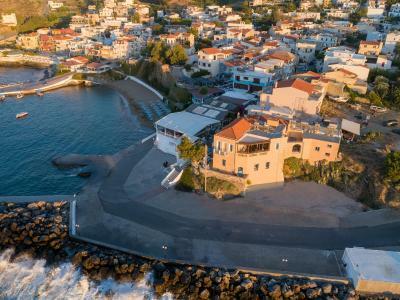 Panormos seems to have a serious waste management issue which prevents a top rating for the location: A local "sewage treatment" building is placed right underneath the terrasse of apartment #1, on the edge of the sea. Seems to be very old and unfortunately it smelled quite badly a good part of the time. The same holds true for three communal waste containers at 50 meters distance to the right. Although emptied every workday they often overflow, on the weekend quite badly. They stink and a bunch of cats peruse the waste all day. There seems to be no recycling concept at all - in fact we found several large open waste dumps up in the mountains. Sad. 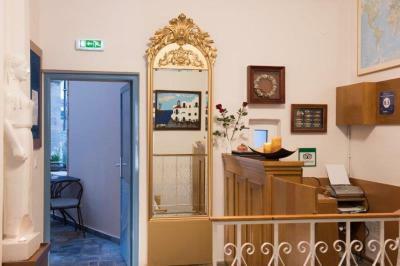 One of the rooms was too close to entrance=restaurant, noisy at night. It's hard to see so many plastic water bottles being used. I would hope the island of Crete could put some research interest into finding a better water source. Other than the maid who was great we did not see any other staff. 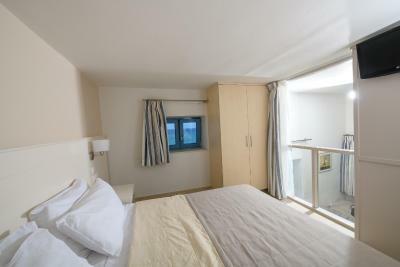 This would have been fine if this was an "apartment" but it styles itself an "Hotel" so we were a little confused. Nothing. All good for us. 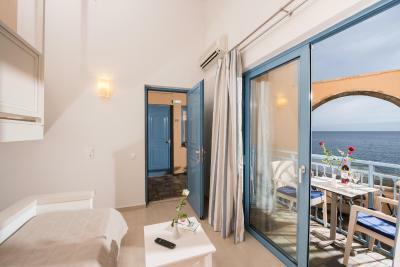 The balcony looks on to an inner courtyard with a view out to sea through an opening in the courtyard wall, rather than directly to the outside but it did mean that you were sheltered from the wind when windy. 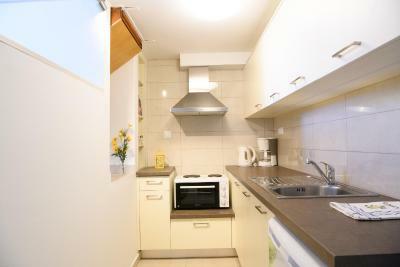 Very well equipped kitchenette and generally fairly spacious and comfortable. 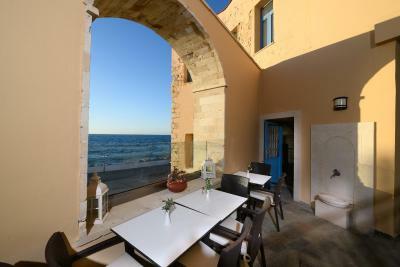 Lovely views of the sunset from the restaurant terrace in the evening. 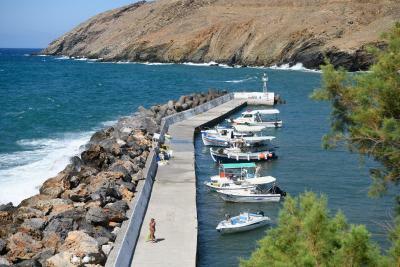 Nearby harbour beach or a 5-10 minute stroll to bigger beach. We enjoyed our time in a big, silent appartement. 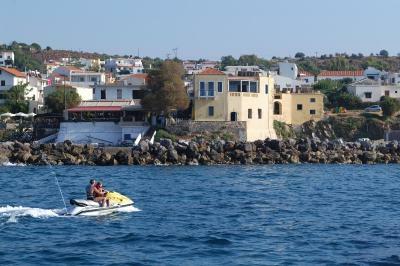 Though it was lying in the center of Panormo with a wonderful view on the port it was silent durnig nighttimer. In our sleepingroom we only heard the ocean while we had opened our window. Breakfast was perfect and the staff always took extra-care for me as I suffer of an intolerance that usually makes some trouble with the food. The staff was very friendly.